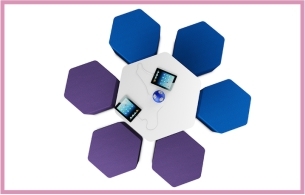 High impact fabric-upholstered soft seating and low tables that can be flexibly organised into different patterns to create informal meeting hubs. Choice of upholstery and table top colours. 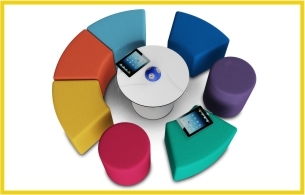 For reception areas, libraries and open-plan zones.